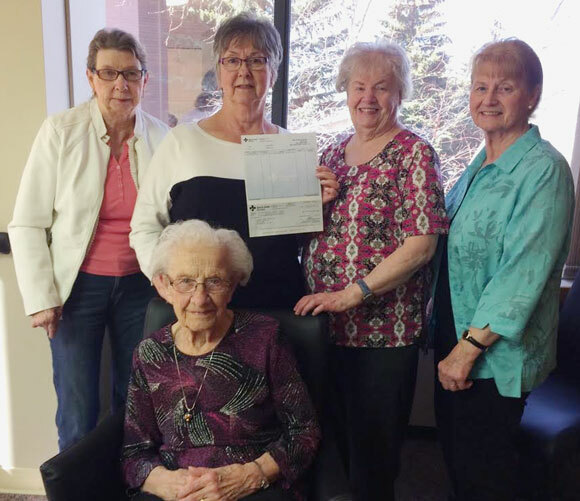 The Auxiliary at CapitalCare Dickinsfield has generously donated $16,000 towards resident lifts at the Centre. Pictured are Auxiliary members (L to R) Betty Dunphy, Sharon Lothamer, Margaret Blacklock (chair), and Marlena McNeil. Seated in front is Anne Sawka. Lifts installed above residents' beds provide accessibility, comfort, and safety for those who have mobility difficulties. Read more about the Foundation's lifts project.